The main goal of The Arizona Comic Mini Expo is to promote original art and wonderful creators in the comic, illustration and animation worlds. Next week begins a monthly program to help that goal. 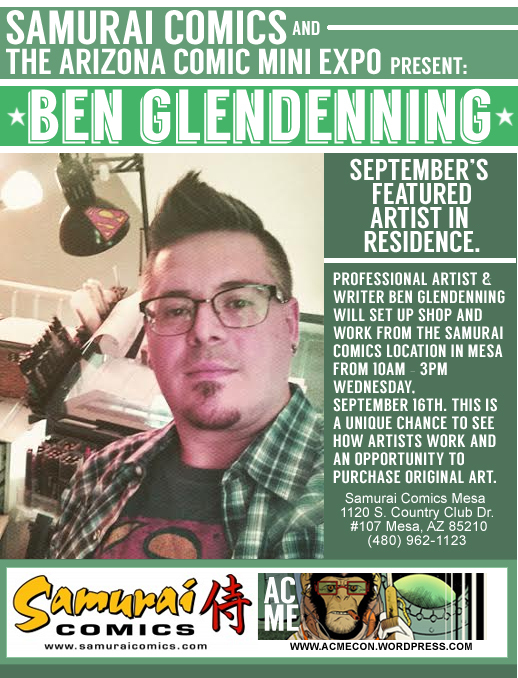 Ben Glendenning is a world reknown sketch card artist and is also the creator of the indie comic series, Tin Star Tex. Visit him at the shop next Wednesday and watch a professional artist at work. Ben will also have original art available for sale.